Has Ford Caught the GM Front-Wheel Drive Virus? In 1972, Oldsmobile celebrated its 75th birthday by offering a special edition of its luxury flagship – the Ninety-Eight. The end result was the 1972 Ninety-Eight Regency, it was a car so high on the luxury scale it even rivaled the best Cadillac had to offer at the time. To produce this car, Oldsmobile partnered with Tiffany & Co. This is why all 1972 Ninety-Eight Regencys had a Tiffany gold exterior paint job, an electronic Tiffany interior clock, and a unique Regency ignition key which was on a Tiffany sterling silver key ring. Upon purchase, each 1972 Regency was entered into Tiffany’s special registry. The registry wasn’t just for prestige, it offered a invaluable service to Regency buyers. If lost, a set of Regency keys could be dropped in any US mailbox where they would be sent to Tiffany. Tiffany would identify the owner using its registry and then send the keys back to the owner. 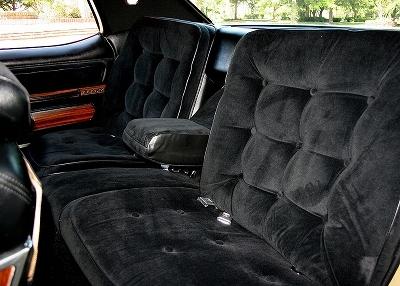 The Regency’s interior was more regal and luxurious than most luxury cars of its day. With its ultra soft limousine quality velour cloth seating surfaces, all occupants rode in pampered comfort. The Regency’s interior cabin was designed by GM’s premier interior designer Blaine Jenkins. The Regency came standard with many power and convenience options. Additionally, optional was the state-of-the-art automatic climate control system. Sitting in the Regency was an unforgettable experience, it was the ultimate in luxury. Everything from the ultra comfortable seats to the ornate door trim, proved this was no ordinary Oldsmobile. The significance of the Regency can’t be overstated. It was a precursor to the ultra plush luxury oriented rear-wheel drive mid-1970s to mid-1980s Oldsmobile Ninety-Eight models. 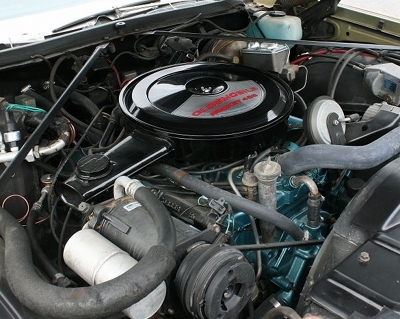 These cars during this period helped to make Oldsmobile one of America’s best selling brands. It was only GM’s crazy gamble, starting in the mid-1980s, of shrinking all of Oldsmobile’s cars and converting them to front-wheel drive that eventually led to the Oldsmobile’s demise. Most people under the age of 40, have had no exposure to cars like the 1972 Regency. They were unfortunately raised in an era littered with either imports or small American cars. Even recent large cars, which are now defunct, like the Mercury Grand Marquis and Lincoln Town Car of the last decade were small in comparison to the 1972 Regency. The Regency had a length of 227.8 inches and a wheelbase of 127 inches, this is bigger than a massive 2017 Chevrolet Suburban which is 224.4 inches in length and has a wheelbase of 130 inches. These were cars that could fit 6 large adults (three per seat row) in comfort without their shoulders ever touching. The trunk was also massive, it could swallow up as much luggage as you could carry. Cars like the Regency were sorely missed when the downsized cars of the 1980s appeared with tiny trunks and cramped interior cabins. The Regency’s large size and heavy weight gave the Regency a fantastic ride. It ran over potholes and road imperfections without giving its occupants any discomfort. In most cases the occupants thought bad roads like this were perfectly smooth. In other words its ride was what you would have found in the best of limousines back in the day. The Regency was powered by Oldsmobile’s Rocket 455 cubic inch V8 which produced 250 net horsepower and 370 lb-ft of net torque. This was enough power to move the 4,698-lb Regency with ease. It went 0-60 mph in about 9.5 seconds which was lightening quick for a land barge that was the size of a Sherman tank. The Regency was certainly from another era, its average 11 mpg in normal day-to-day driving is proof of this. A total of 2,650 75th Anniversary 1972 Ninety-Eight Regencys were produced. 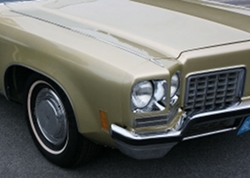 The Regency trim package was such a success that it returned for 1973 and continued for another two decades. The 1972 Ninety-Eight Regency is Oldsmobile at its finest. It was cars like the Regency that created Oldsmobile’s legendary status. 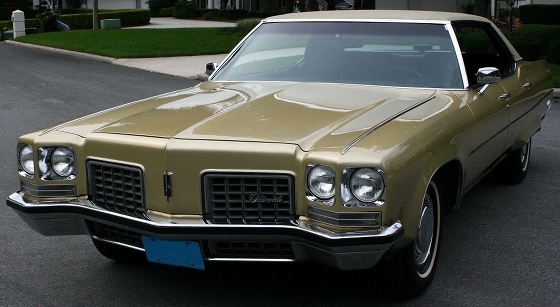 Unfortunately with Oldsmobile permanently closing shop over a decade ago, most have forgotten the great Oldsmobile cars like the 1972 Ninety-Eight Regency.